Monday through Friday 7:30a.m. – 5:00p.m. Dixie Salvage was established in 1996 when John Crow Sr. saw an opportunity to create a “discount building supply store” to serve a niche in the building supply market in NE Alabama. As the business began, inventory mainly consisted of “B” grade building materials. Today, after many years of business and developing contacts within the industry our inventory consist of “B” grade, overstocks, buy-backs, over-runs, insurance claims and closeouts. 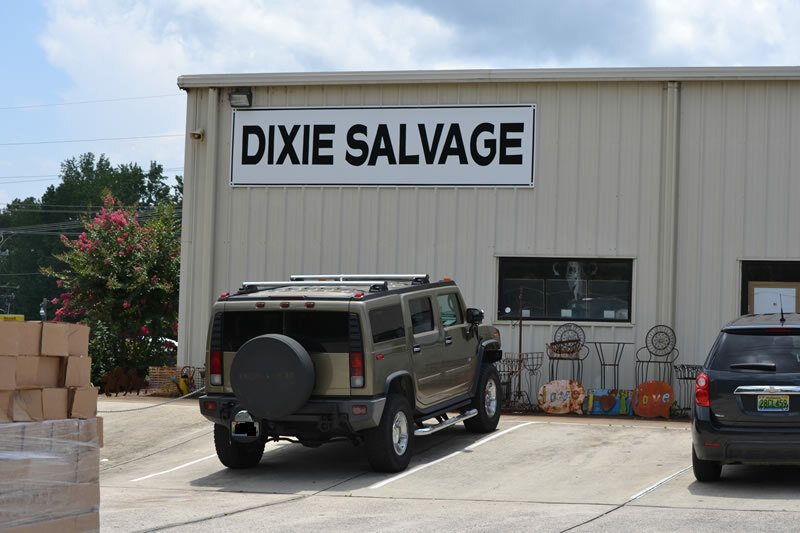 At Dixie Salvage, we strive to serve our customers well and provide great and sometime unique products at lower prices. We usually add new items to inventory on a weekly basis so stop by often to see what is new. Watch our Facebook Feed below to see special “Deals of the Day.” Got a question? Call us at 1-256-845-5475. New shipment of hardwood flooring for a great price. 3/4 X 5” Sugarcane Hickory $2.99/sq.ft. 3/4 X 5” Foggy Bottom Oak $2.99/sq.ft.